The first day of November is this Saturday which is so hard to believe! which will be used every day in the month of November. and then we placed them in the jar. There are 30 strips of paper in the jar since there are 30 days in November. and read it aloud during our supper time. it will be a joyful surprise to hear what everyone is thankful for. What are you thankful for, sweet friends? You bless my life and heart. Notice the lace flower. . .
it's the one I used to clip onto my shoes. I added it to the tag for extra prettiness. Lord Claybrook, is destined to be her one true love. claiming to be an English lord who was left for dead by Claybrook's men. and asks her to spy on Claybrook as repayment. she's sure Colin is completely wrong about her potential betrothed. about not only Colin but Claybrook as well. her father and her family from one man's wicked plot. A delightful fairytale told from a different view. 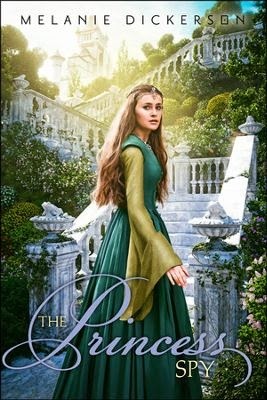 similar to the fairytale The Frog Prince. Spirituality, romance, intrigue, suspense, courage, and humor. . .
yet it held my complete attention and I am in my late 20's. with characters that were charming and witty. written by the talented Melanie Dickerson. Margaretha is a beautiful character, inside and out. She has a generous spirit and kind heart, but talks too much. She often babbles on and on which causes her to be "untrustworthy"
when it comes to keeping certain things quiet. After all, she is known to accidentally let things slip out when she is rambling on. but can she do it and who can she trust. . .
Lord Colin thinks Margaretha is just a "flibbertigibbet,"
a young woman with no sense who talks too much. But the more he gets to know her he realizes there is more than meets the eye. and he wants only revenge. before the hatred consumes him. . .
A well-written book with a few twists that were unexpected and surprising. The Fairest Beauty, and The Captive Maiden. She lives with her husband and two daughters in Huntsville, Alabama. and I told her it would probably be fabric flowers. or lace to create a lovely flower. Plus, there are many designs and no flower is the same. So. . .I made a few hair clips that can be used for other things as well. First, let me show you how to make these simple but pretty flowers. If using lace, cut two strips that are each 10-inches long. Sew a gathering stitch along the top. and pull the flower together; sew the two ends together. Cut out a felt piece to use on the back to secure the clip. I cut mine into hearts, but you can cut them into circles or whatever shape you like. press onto the back of the flower. and 18-inches or so long. and on the bottom are the lace. mini felt flowers, and buttons. Now here is what you can use them for. . . The obvious one being for your hair which you will see in the picture below. But check out the flower on my jean jacket - yes, I used it as a pin. The clip slipped right on and is actually more secure than a pin. And the third thing you can use these pretty flowers for is. . . They clip on perfectly to flats and don't they look darling? The possibilities are endless, my friends! Add a little loveliness to your wardrobe with these simple fabric flowers. 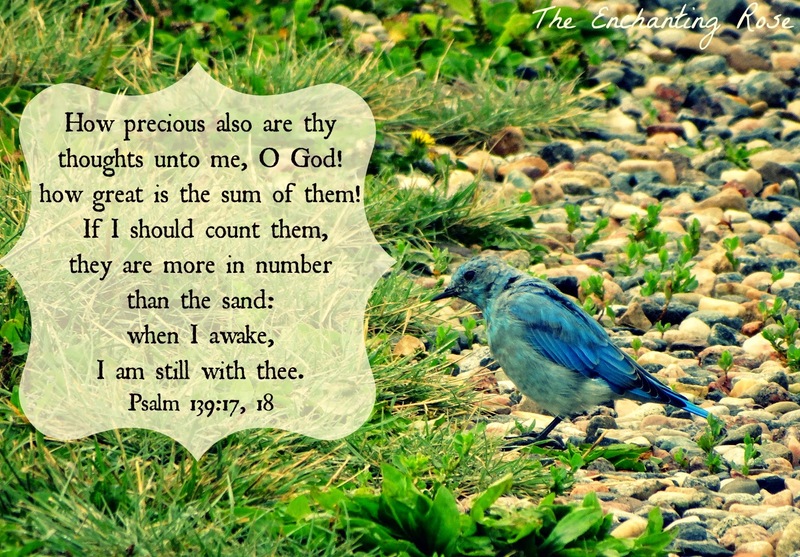 "Still, Still With Thee" was originally titled "Resting in God"
especially on the phrase "When I awake, I am still with thee." and the over-shadowing presence of her God. Grace - the outward expression of the inward harmony of the soul. and lights up the whole bodily presence. 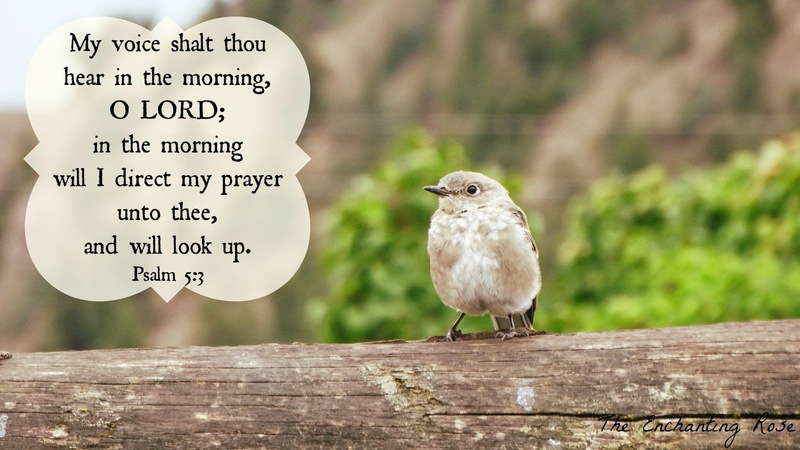 Have a blessed Lord's Day, dear ones! 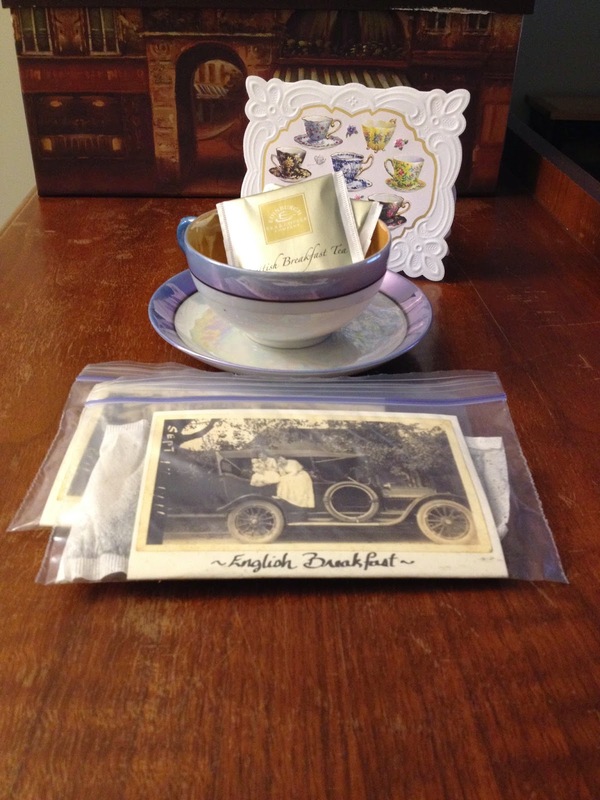 I cannot tell you how much I love and enjoy hosting these tea cup and mug exchanges. and it warms my heart when I see how others are blessing people around the globe. and it's my desire for all those that participate to have fun and be blessed. and several from around the globe - New Zealand, Australia, Italy, Canada, Germany. With that being said, lets move on to the sharing of our gifts. the link-up is located at the end of the post. I look forward to visiting your blogs to see what pretties you received. and have fun looking and visiting! so I'll begin with the tea cup that I got from Diane. and she sent me a most beautiful tea cup. The gold is quite lovely and of course roses are my favorite. which will be put to good use. And a wonderful selection of tea. and the poem is just too cute. 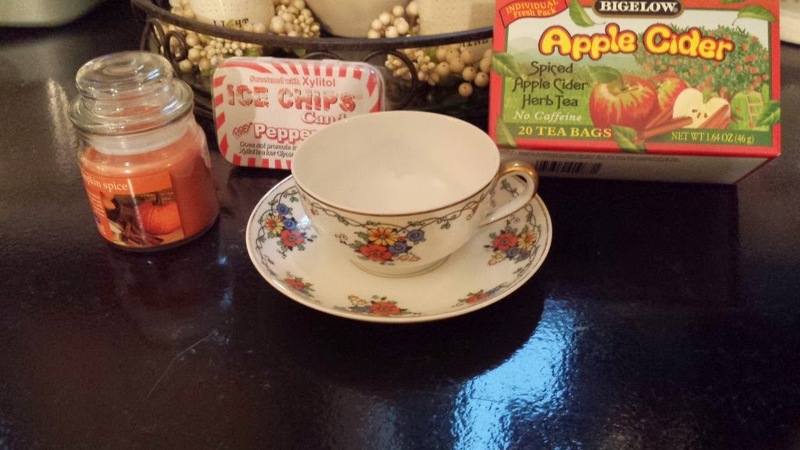 My new tea cup has made itself right at home with my other tea cups. My heartfelt thanks to you, Diane! Now onto the mug that I received from sweet Jen. She sent me a package filled with wonderful items. Isn't this the cutest owl mug!? it's sitting on the counter with cinnamon sticks in it. Jen also made me this beautiful pin cushion. and has pockets for holding scissors, threads, etc. The embroidery work is incredible - Jen did and amazing job! Thank you so much, dear Jen! Now onto the ladies I sent to. . .
And I sent a mug to Jodie who lives in Australia. As far as I know she does not have a blog so here is a picture of what I gave her. Diane signed up to receive and give two tea cups. The tea cup is simply lovely. Diane also received these pretties from Peabea. Betty was given these beautiful items from Celestina. Everything is so pretty and romantic! Lynn was given this sweet tea cup from Marcia. I love the cute acorns and pumpkins! 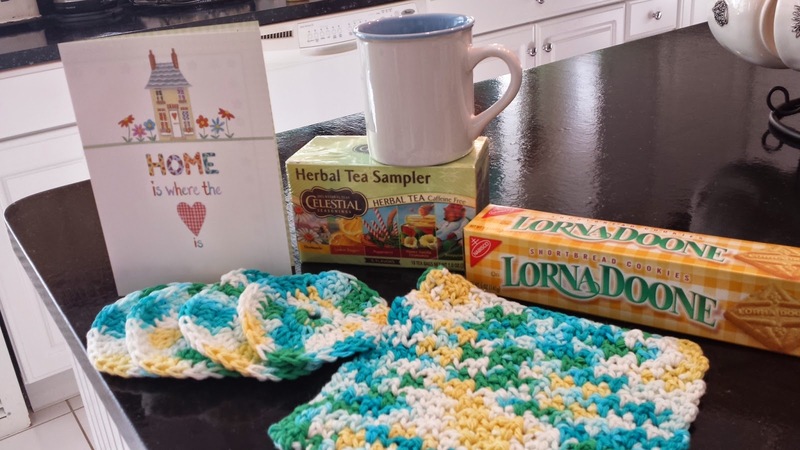 Sarah received this wonderful package from Margaret. Isn't the tea cup beautiful? plus some fun crafting goodies. 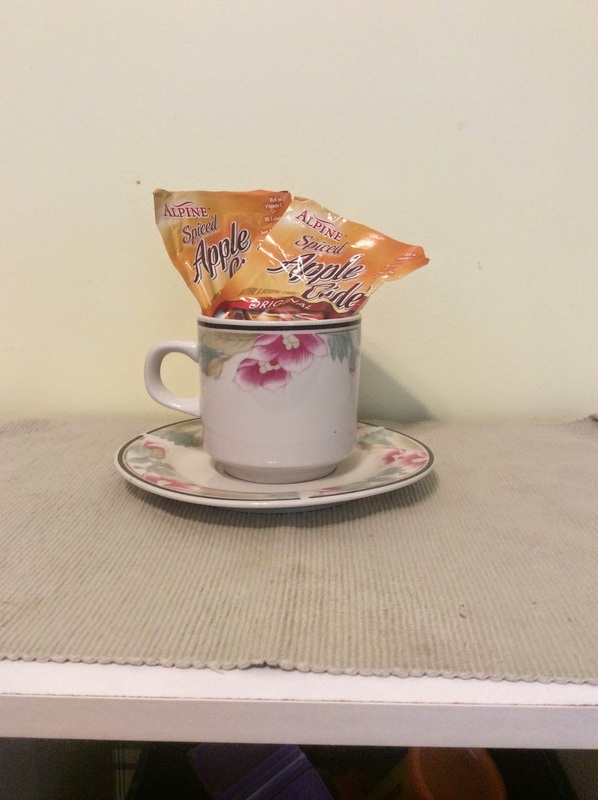 The tea cup is simply divine! 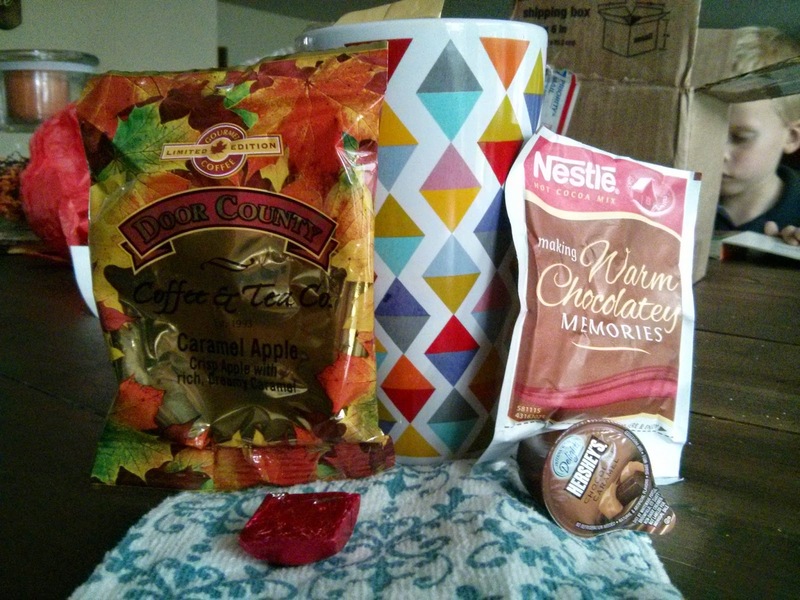 Christine received a lovely Fall themed package from Linda. 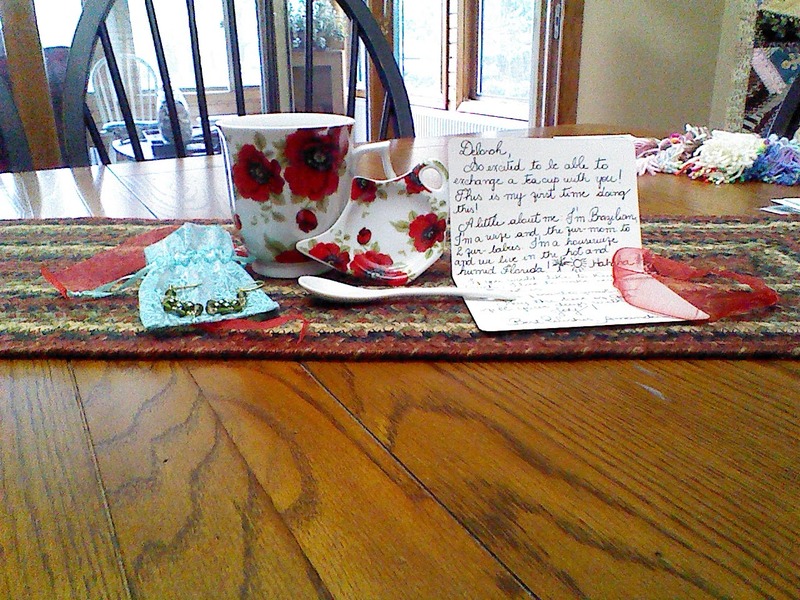 Nicole got a lovely tea cup and beautiful old pictures from Sara. Seairra got this incredible package from Deborah. I am truly amazed at such generosity! This beauty was given to Patti from Claudia. Nikki received these delightful items from Dana. Laura was given this sweet and pretty tea cup from Anne. Salinn got this delightful tea cup and beautiful tea pot from Caelin. 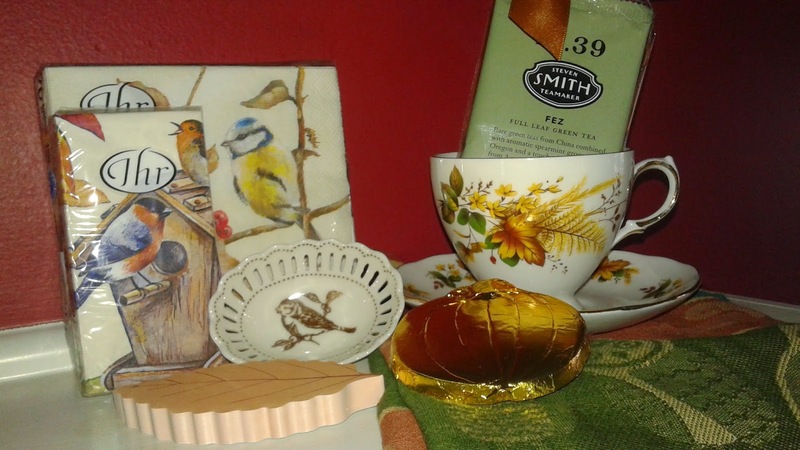 Gabriele participated in both the tea cup and mug exchange. Her tea cup arrived from Ida. And she got this pretty mug from Julie. Don't you just love all the crocheted goodness? Jen was given this bright and fun mug from Jessica. 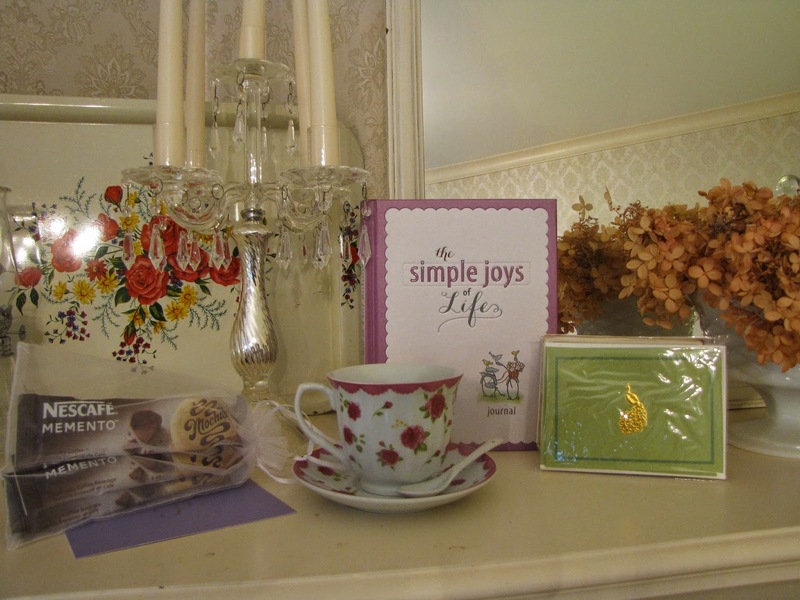 Jessica for this gorgeous mug and pretty extras from Gabriele. Abigail received this sweet heart mug and earrings from Amanda. Elizabeth got a delightful package from Katie. 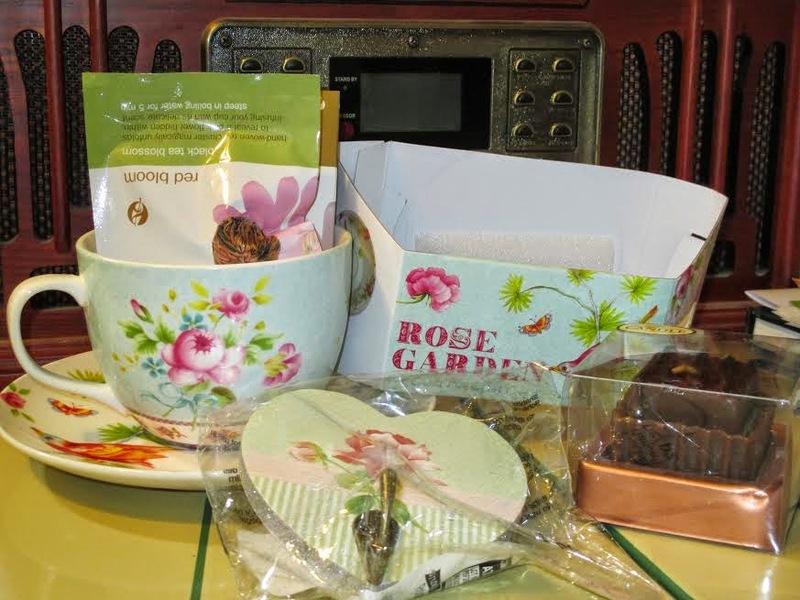 Sherry received a lovely pansy tea cup from Lisa. Once again, I have been richly blessed by ALL who participated! 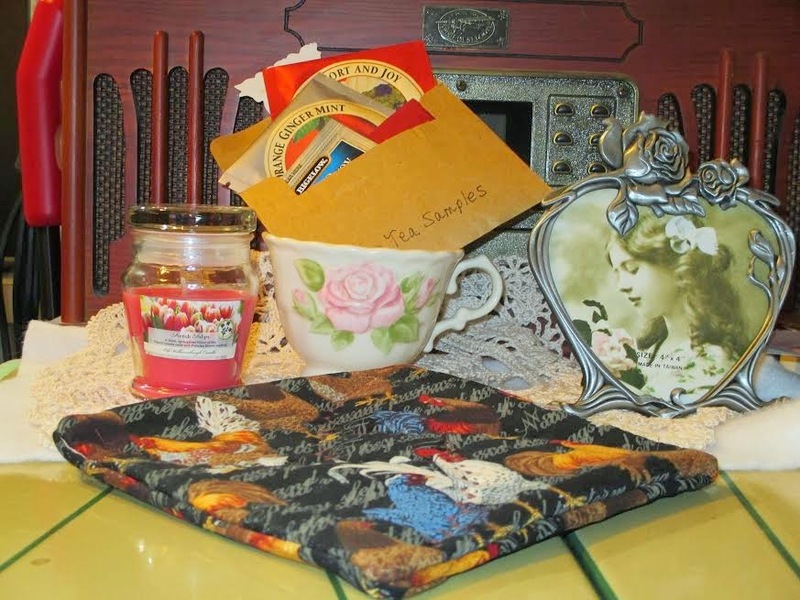 or want to join another tea cup and mug swap in the near future than no worries! And enjoy visiting the other blogs. Burlap Roses & The Giveaway Winner!